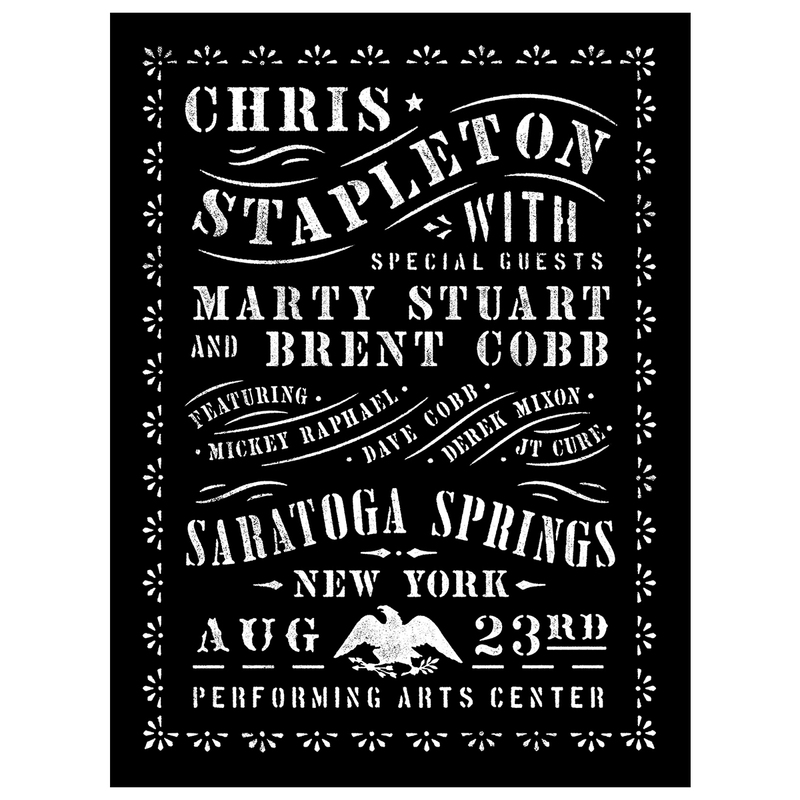 Limited edition screen printed poster from 08/23/18 in Saratoga Springs, NY. Designed by Aaron Von Freter. 18” x 24”. 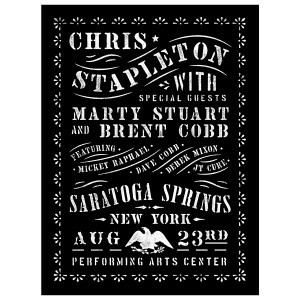 Ordered a poster from a show my wife and I went to in Saratoga, NY. Shipped quickly and looks great. Copyright © 2019 All Rights Reserved. Musictoday II, LLC, is the seller of all Chris Stapleton merchandise and is solely responsible for all aspects of your purchase.